Part of the race venue will also be the EXPO, a fair at which you can visit the partners’ stands. Bicycle service, regeneration and entertainment zones, food stalls, and the opportunity to buy the equipment and clothes at affordable prices are waiting for you. The latest range of Ford cars will be the highlights of the stand of the general partner of the race. Ford has an impressive line-up of new cars. In fact, these Ford cars offer what customers want most: fuel economy, technology, safety and outstanding performance. You’ll also discover Ford cars have innovative design, including dramatic interiors and stunning exteriors. 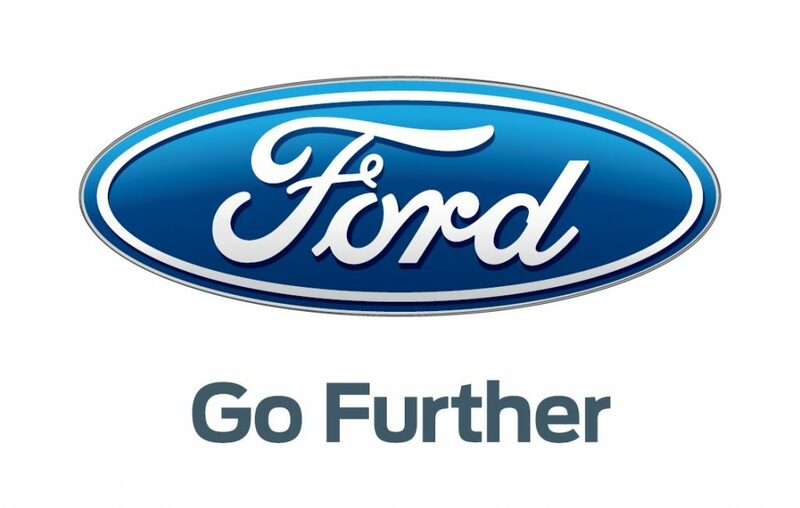 Above all, Ford cars are driven by innovation. The SCOTT bikes are ridden by the world’s best triathletes, with Sebastian Kienle in the first place. In the SCOTT showroom, you can see the top models with the SCOTT Plasma Tri-special. A team of experts will advise you on the selection of the racing and training wheels for you as well. Company deals with a number of activities that relate to sport, body care and a healthy lifestyle in general. On the Czech and Slovak markets, the company represents the products of HYPOXICO, Oval Concepts, SaltStick and Rolf PRIMA from the USA, and Sailfish and o-sync companies from Germany. We also offer products from the Swiss brand Compressport. HISPORT CZ also runs the HISPORT TEAM sports club, which brings together a number of top athletes in the elite category and at the same time offers help and background to those interested in the sporting public. One of its activities is the operation of the swim school for adults. At the Tejpy.cz stand you can have your body parts taped with kinesio tapes and after the race regenerate on the Blackroll. The presentation will cover the second year of the project under the title My First Triathlon. 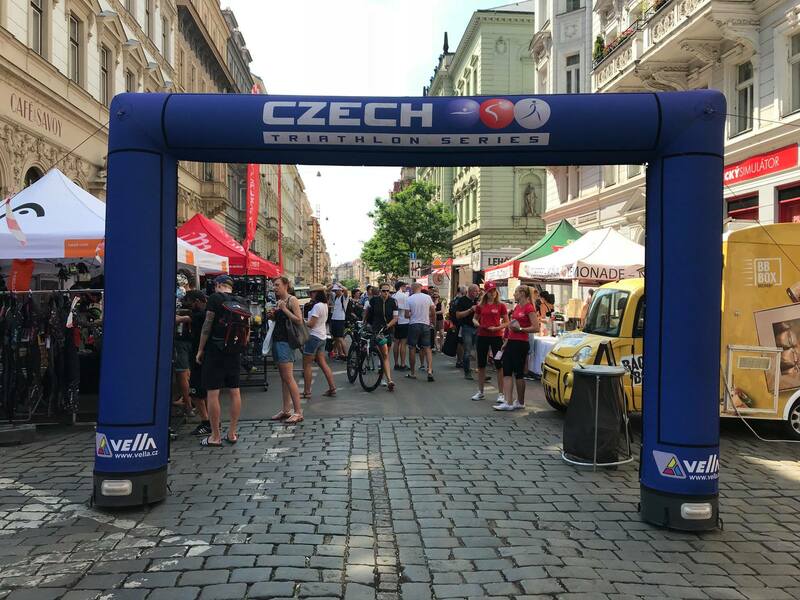 The series of races for triathlon beginners www.mujprvnitriatlon.cz at the stand will also present a collection of triathlon clothing and accessories in the national colours offered by ČTA at their official eshop. Enervit is a sports nutrition specialist and main nutritional partner of the race. At its stand you can enjoy top-class sports nutrition for a period of time before, during and after a sport and you will get valuable advice for maximum use for better performance. Have a diet plan or go for the packs already prepared according to the time you plan to spend on the track. You will also receive here your pre-ordered packages! The running season is in full swing and after a short summer break the RunCzech series will continue. In our stand you can look forward to the September Birell Grand Prix – a 10-mile and 5-mile race in the evening Prague or one of the fastest half-marathon in the world – Mattoni 1/2 Marathon Usti nad Labem. And you can register here for a brand new event – Liberec Nature Run. Drop into the RunCzech stand and run with us! At RESPORTICA stand you will try the RE.sport regenerative and revitalizing gels on “your own skin” to know how to recover as quickly as possible from sports exhaustion. Akron Italia CZ s.r.o. is the exclusive importer and authorised distributor of Akron products on the Czech and Slovak market. Representing a brand of quality, innovation and functional style we endeavour to do so in a way that reflects these traits. By the Akron stand, you can also enjoy a real Italian coffee! Hervis Sports encourages active movement and thus a better lifestyle. That’s why sports fans will find everything they need for their sports at Hervis stores. Hervis offers a wide range of not only functional, but also fashionable goods of the world and own brands, which can be found in shops and online at www.hervis.cz. Come to the Hervis stand and equip yourself and your family for sports and leisure. Zootsports – the oldest triathlon brand, born 1983 in Kona – is supporting athletes around the event with their Hawaiian style race apparel and wetsuits. Come by and visit them on the EXPO. A unique amusement park with educational features. Dozens of static, robotic and sound lifesize models, 4D Cinema, educational pavilion The Way to the Past of the Earth with real excavations, a children’s paleontological playground with a hidden skeleton of a prehistoric creature, and for this season also a lot of dinosaur cubs. Go on the roof of the Harfa Gallery on a trip to the past, Ford Challenge Prague participants have a 20% discount on family admissions. DinoPark, this is a great tip for a family trip! In the EXPO, you will be introduced to the brand Saucony with a collection of revolutionary, award-winning running shoes that lift the bar in an innovative design. It will be complemented by the progressive Stance brand, which with its design changed the perception of socks as boring pieces of fabric. The triple closes Oakley & Optic Lab, offering vision screening and introduces Oakley’s sports dioptric program here. “I’ve always dreamed of having my own brand. A brand that would express my passion for a sport that I totally failed to do with TRIATHLON. Of course, after a few years in the collective sport, I wanted something more. I have had a clear vision of what the brand is supposed to represent, not just in the world of triathlon, it took me a while to find the right team to understand my obsession for detail and help me fulfill my dream . Tri Fun Fit is a Czech – Italian project combining sport and entertainment. It is a sport showcase focusing on triathlon, running, cycling, swimming, fitness. Part of Tri Fun Fit is an e-shop, a blog full of interesting articles, a training section, camps and fun and educational videos. Our motto is “Be Tri, have Fun, be Fit”. Enjoy a range of original products! Like every year, you will be able to stop at the red stand of the Swiss brand Compressport, which will be in place with its full range. From starting number belts, chip strips, compression sleeves, clothing, to racing jerseys. There will also be products from this year’s collections, whether triathlon or running. So do not hesitate and indulge in genuine Swiss quality! That’s Compressport! There will be as well wide range of French brand Z3R0D, a brand specialised exclusively on triathlon. Triathlon shorts, jerseys, overalls and, last but not least, neoprene with swimsuits. Of course there are news for this season, such as Start Tri Suit or Time Trial Suit. Do not miss this unique opportunity! Scott will help you solve almost any problem with your bike. Dismounting of the center composition, lubrication, assembly and adjustment.